If you’re selling online, chances are, you’re selling on Amazon. If you aren’t selling on Amazon yet, it’s time you started. In 2015, the eCommerce platform experienced record-breaking growth. Experts predict that this is just the beginning and sales are expected to soar in 2016. So, how do you make the most out of Amazon? Before you list a product on Amazon, do some research. Take a look at the listings of similar items and figure out which ones are selling the best. How do their keywords, descriptions, photos and videos compare to the ones you use in your listings? The popularity of Amazon means that it’s a wonderful place to sell, but the competition is fierce. If your products are never seen, they’ll never sell, so invest some time in researching the top listed products in your category. If someone is doing something well, determine what you can do to emulate their strategy. Don’t underestimate the power of online reviews. In a recent survey, customers said that they trust online reviews even more than personal recommendations. Video reviews are particularly powerful. On Amazon, reviews are the equivalent of word-of-mouth, and they can have a huge sales impact. They have the power to influence buyers who aren’t quite ready to make their purchase and convince people to pick your product, over the alternatives. Five-star ratings and great reviews aren’t a given, no matter how great your product is. If you want positive reviews, you’ll have to work for them. First and foremost, provide a great customer experience. Sell your product honestly and share as many details as possible, to keep consumers from feeling mislead and ensure that they are getting what they really want. Encourage feedback by sending follow-up emails after an Amazon purchase. 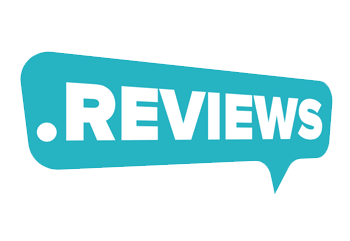 Make your review request personal, and include an easy-to-follow link. 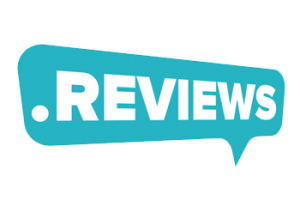 You can also request Amazon reviews in your newsletter and on social media. If someone is already following you, they probably like you! Amazon uses keywords in a product’s title to rank listings. If you want your product to show up at the top of the list, you’ll need to optimize your terms. Though your title is limited to 500 characters, you should include as much relevant information as you can in this field. Keyword tools can help you determine which terms work best and get the most attention. Amazon also offers a keyword field. This should be used for terms not already included in the product title, which will be overlooked by Amazon. You can select up to five keywords or keyword phrases here, which can greatly improve your search rankings. Amazon does a pretty good job correcting spelling, but it doesn’t hurt to include frequently misspelled keywords. Consumers want to know how much they are saving. Amazon lets merchants use two forms of comparative pricing, the “was” or the “sale” price. The “was” price is typically the recommended retail price, and if you sell lower, this is the way to let consumers know. Amazon does employ strict criteria around the use of this tool to ensure that customers are not misled, so use it wisely. If you want to make the most of Amazon, carefully consider the pictures you share. Ideally, images should be 500×500, against a white background. The entire product should be visible. Images shouldn’t have borders, URLs, seller logos, animation or any other text. If you aren’t already, you need to be selling on Amazon. The process can sound intimidating, but by securing reviews, optimizing keywords, setting the right price and displaying relevant product images, you significantly increase the chances of your product selling well on the platform.